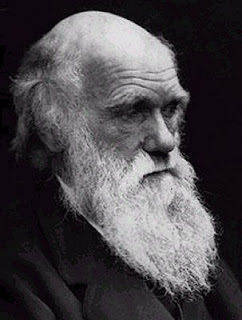 I think the Darwinian idea is appropriate as you have used it. I actually think the Darwinian model can fit a lot of things. But we certainly are seeing the very rapid advancement of the communication "seed" that began with the DARPA project decades ago. The pace seems to have picked up so much over the last five years even, and sometimes it is as if I can feel the thing evolving on a daily basis. As with the Cambrian explosion there are so many options (many of which have already died off) that to quantify them all is daunting, especially in elearning. As with biological evolution though, I already see the groundwork laid for many tools to fall by the wayside as the bigger players finally get bugged to include more features and automation. Web 2.0 looks great, but just wait for Web 3.0. It will be interesting to see where we are all at when that time arrives. Interesting article Donald on a day the BBC reported Ofstead as saying e-learning has been used very poorly in schools. A study of "virtual learning environments" (VLEs) found that in many schools and colleges such systems were still on a "cottage industry" scale. The benefits to learners are so far "not yet obvious", say inspectors. The Ofsted report says that "despite expectations", the arrival of these online support services for learners was "still in the early stages of development". Maybe there is a lot more work to do yet!